The 2009 study claimed that the book’s recipes changed over the years to add more calories. However, a reanalysis found that many numbers differed, and “many substantially so.” This is the latest in a number of papers by the same author that have been recently withdrawn. Up until recently, Brian Wansink was one of the most respected scientists in the field of consumer behavior and food marketing. He was also the executive director of the USDA’s Center for Nutrition Policy and Promotion, publishing a number of influential papers, particularly on people’s food choices and how those food choices can be understood and improved. However, in January 2017, the validity of his work started to be questioned after Wansink published a blog post about his experience with a graduate student. Wansink said he asked the graduate student to “salvage” conclusions from a study that had nill results. This practice, while questionable, is not entirely beyond reason — after all, there’s a chance that something relevant might have slipped through the cracks. However, when the graduate student managed to publish five new papers from the study, things did seem a bit strange. So Jordan Anaya, Nicholas Brown, and Tim van der Zee analyzed the papers (called the “pizza papers”) and found a total of 150 questionable numbers, including impossible figures and tampered statistics. However, this was only the beginning of what would be a very quick downfall for Wansink. Later in 2017, Anaya and colleagues found additional errors in six other papers published by members of the Cornell Food and Brand Lab, where Wansink was working at the time. As of December 2017, six papers had been retracted and 14 corrections had been issued, and 2018 yielded similar problems for Wansink and colleagues. By March 2018, two more papers had been retracted and in September 2018 JAMA retracted six papers by Wansink. An independent Cornell investigation found numerous shortcomings and evidence of data tampering, and as a result, Wansink has resigned — remaining in contact only to re-check his other works. As it turns out, such a re-evaluation found problems with yet another study. 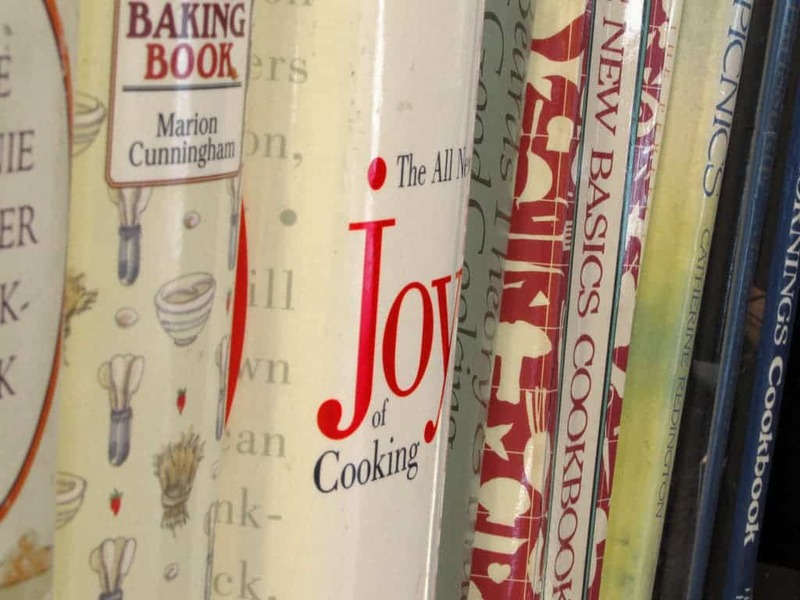 The study in case focused on the “Joy of Cooking” — one of the most popular cookbooks in recent history, which has been in print continuously since 1936. Wansink initially reported that newer editions of the book features bigger portions and more calories. However, despite the retraction, Wansink said the study’s conclusions still stand, despite the differences in numbers. Not art nor Instagram: Food art does not represent reality. Last supper paintings show biblical growth of portions. Organic label makes regular food taste better or about the “health halo effect”. The cake isn’t a lie — but the nutritional value on the box definitely is. However, none of these have been retracted. Here is a full list of the papers that have been withdrawn, along with any retraction notes. Hanks, AS; Just, DR; Wansink, B (July 2013). “Preordering school lunch encourages better food choices by children”. JAMA Pediatrics. 167 (7): 673–4. doi:10.1001/jamapediatrics.2013.82. PMID 23645188. Siğirci, Ozge; Rockmore, Marc; Wansink, Brian (6 September 2016). “How Traumatic Violence Permanently Changes Shopping Behavior”. Frontiers in Psychology. 7: 1298. doi:10.3389/fpsyg.2016.01298. PMC 5012201. PMID 27656152. “Retraction note: How Traumatic Violence Permanently Changes Shopping Behavior”. Frontiers in Psychology. 8: 2140. 27 November 2017. doi:10.3389/fpsyg.2017.02140. PMC 5712176. PMID 29204134. Siğirci, Özge; Wansink, Brian (19 November 2015). “RETRACTED ARTICLE: Low prices and high regret: how pricing influences regret at all-you-can-eat buffets”. BMC Nutrition. 1 (1). doi:10.1186/s40795-015-0030-x. Siğirci, Özge; Wansink, Brian (15 September 2017). “Retraction Note: Low prices and high regret: how pricing influences regret at all-you-can-eat buffets”. BMC Nutrition. 3 (1). doi:10.1186/s40795-017-0195-6. Tal, A; Wansink, B (24 June 2013). “Fattening fasting: hungry grocery shoppers buy more calories, not more food”. JAMA Internal Medicine. 173 (12): 1146–8. doi:10.1001/jamainternmed.2013.650. PMID 23649173. Tal, A; Zuckerman, S; Wansink, B (November 2014). “Watch what you eat: action-related television content increases food intake”. JAMA Internal Medicine. 174 (11): 1842–3. doi:10.1001/jamainternmed.2014.4098. PMID 25179157. Wansink, Brian; Bascoul, Ganaël; Chen, Gary T. (2006-07-01). “RETRACTED: The sweet tooth hypothesis: How fruit consumption relates to snack consumption”. Appetite. 47 (1): 107–110. doi:10.1016/j.appet.2005.07.011. ISSN 0195-6663. PMID 16574275. Wansink, Brian; Chandon, Pierre (2006-09-05). “Meal Size, Not Body Size, Explains Errors in Estimating the Calorie Content of Meals”. Annals of Internal Medicine. 145(5): 326. doi:10.7326/0003-4819-145-5-200609050-00005. ISSN 0003-4819. Wansink, B; Cheney, MM (13 April 2005). “Super Bowls: serving bowl size and food consumption”. JAMA. 293 (14): 1727–8. doi:10.1001/jama.293.14.1727. PMID 15827310. Wansink, Brian; Van Ittersum, Koert; Werle, Carolina (2009-06-01). “RETRACTED: How negative experiences shape long-term food preferences. Fifty years from the World War II combat front”. Appetite. 52 (3): 750–752. doi:10.1016/j.appet.2009.01.001. ISSN 0195-6663. Wansink, B; Payne, C; Werle, C (October 2008). “Consequences of belonging to the “clean plate club““. Archives of Pediatrics & Adolescent Medicine. 162 (10): 994–5. doi:10.1001/archpedi.162.10.994. PMID 18838655. Wansink, Brian; Payne, Collin R. (2009-02-17). “The Joy of Cooking Too Much: 70 Years of Calorie Increases in Classic Recipes”. Annals of Internal Medicine. 150 (4): 291–2. doi:10.7326/0003-4819-150-4-200902170-00028. ISSN 0003-4819. PMID 19221391. Wansink, B; Tal, A; Shimizu, M (25 June 2012). “First foods most: after 18-hour fast, people drawn to starches first and vegetables last”. Archives of Internal Medicine. 172 (12): 961–3. doi:10.1001/archinternmed.2012.1278. PMID 22732752. Wansink, Brian; Just, David R.; Payne, Collin R. (21 September 2017). “Notice of Retraction and Replacement. Wansink B, Just DR, Payne CR. Can Branding Improve School Lunches? 2012;166(10):967-968. doi: 10.1001/archpediatrics.2012.999”. JAMA Pediatrics. doi:10.1001/jamapediatrics.2017.3136. Wansink, Brian; Just, David R.; Payne, Collin R. (1 December 2017). “Notice of Retraction. Wansink B, Just DR, Payne CR. Can Branding Improve School Lunches? 2012;166(10):967-968”. JAMA Pediatrics. 171 (12): 1230. doi:10.1001/jamapediatrics.2017.4603. PMID 29053760. Wansink, Brian; Just, David R.; Payne, Collin R.; Klinger, Matthew Z. (October 2012). “RETRACTED: Attractive names sustain increased vegetable intake in schools”. Preventive Medicine. 55 (4): 330–332. doi:10.1016/j.ypmed.2012.07.012. PMID 22846502. Wansink, Brian; Park, Se-Bum (November 2002). “Retracted: Sensory Suggestiveness and Labeling: Do Soy Labels Bias Taste?”. Journal of Sensory Studies. 17 (5): 483–491. doi:10.1111/j.1745-459X.2002.tb00360.x. “Retraction Statement: ‘Sensory suggestiveness and labeling: Do soy labels bias taste?’ by B. Wansink and S.-B. Park”. Journal of Sensory Studies. 32 (2): e12259. April 2017. doi:10.1111/joss.12259. Wansink, Brian; Westgren, Randall (December 2003). “RETRACTED: Profiling taste-motivated segments”. Appetite. 41 (3): 323–327. doi:10.1016/S0195-6663(03)00120-X.